It’s autumn again, and as the leaves turn shades of brown and fall to the ground, the clocks go back, and darkness creeps in earlier and earlier. As cyclists very well know, this time of year can be perilous. If you don’t pay attention to the time, you can suddenly find yourself riding home in the early evening gloom, without the safety of lights or reflective gear. It’s imperative that we make ourselves as visible as possible so that drivers don’t miss us. To this end, we’ve rounded up the best high-visibility items to take on every journey, and to prevent you from getting stranded. This award-winning unisex jacket is perfect for anyone who wants a subtler take on ‘high-vis’ (at least, if you buy the black version). 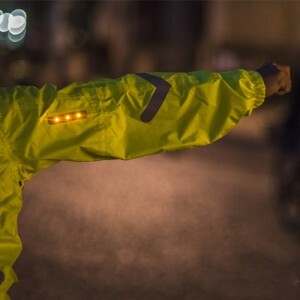 A lightweight waterproof jacket in its own right, a simple press of a button sees it light up like a Christmas tree, sending 23 flashing LEDs into the darkness around you. These LEDs are powered by a USB-rechargeable battery which is very useful. 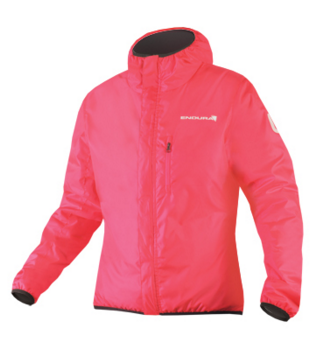 Not only do the lights flash white at the front and red at the back of the jacket, but they also glow when you lift your arm to indicate – leaving any drivers behind you in no doubt as to which way you’re turning. This is a really nifty feature I haven’t seen before. 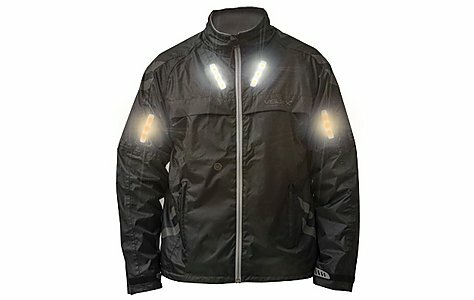 In addition to LEDs and reflective strips, small but handy details on this jacket include Velcro cuffs, fleece-lined collar for colder days, and zipped pockets at the sides and at the back. It’s nice and easy to fold up, too, meaning it can be rolled easily into a small backpack when you no longer need it. We wrote about this revolutionary jacket in Winter 2014, and its Switch model, introduced this year, is even more brilliant. It combines the best of the fully reflective Proviz technology with more traditional bright, high-vis colour to create the perfect two-in-one commuter jacket. I’ve been wearing the high-vis yellow version in the mornings, then turning it inside out to make myself super-visible in car headlights in the dark. 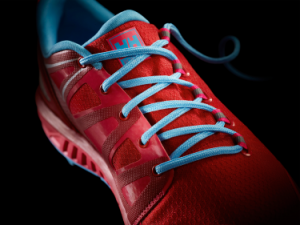 It’s comfortable, attracts attention in all the right ways, and looks amazing. The only slight issue with the Proviz Switch over the Proviz jacket we reviewed last year (which is not reversible and is designed to wear at night) is that because it’s reversible, it isn’t lined with an airy fabric – meaning you get a bit sweatier. 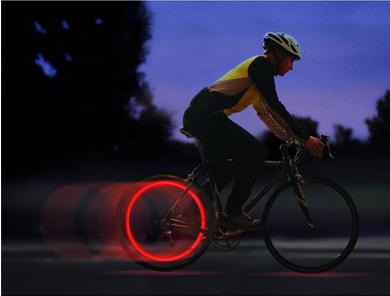 But overall, it’s ideal for commuting in low-light conditions. 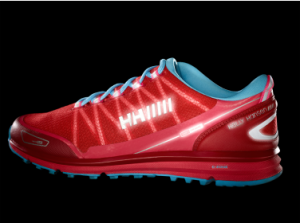 These multi-purpose trainers by Scandinavian sportswear brand Helly Hansen are, true to form, gorgeous. Featuring reflective strips and the best colour scheme I’ve ever seen, they look especially eye-catching with an all-black cycling outfit and are so comfortable and lightweight that they can be used for walking, running or cycling. I especially love the pale blue laces, designed in ‘burrito’ formation: this is described by the brand as ‘a smart asymmetrical lacing and tongue construction for a superior fit and comfort.’ You can really feel the way the shoes hug your foot with this style of lacing. This unisex helmet looks sleek and fits closely, and has no less than 15 reflective strips on the top, back and sides to add glimmer in the face of vehicle headlights. Nice details are the fact that the inner padding can be removed and washed, and it has a removable visor. 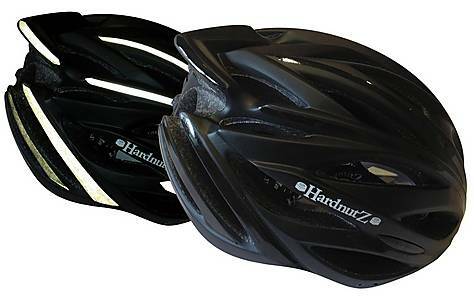 Helmets are too-often neglected by cyclists, but with this lightweight, comfortable and highly visible product you can’t go wrong. 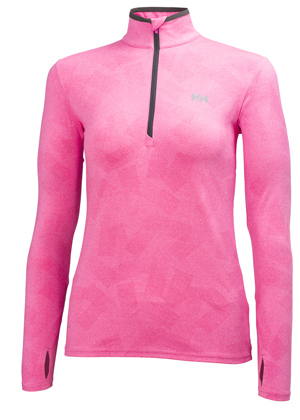 Taken from the same collection as the beautiful trainers above, this long-sleeved reflective training top by Helly Hansen incorporates ground-breaking new reflective fabric technology, Norviz (inspired by Norway’s Northern Lights). As you can see from images above, the top is available in pink or black and looks absolutely fantastic in the dark, with a pattern and reflectivity you just can’t miss. I especially like the thumb hole detail, as this really helps to prevent cold air from getting up your sleeves when cycling fast. This temporary silver spray from Albedo is an original way of increasing visibility without having to change what you wear. Discreet during the day, it glows bright in the glare of headlights, as you can see from the photo below. It sprays on easily to your clothes, backpack or bicycle, like a mist, and dries quickly – so you can carry the spray with you and use when necessary. It wears off by itself in about a week, or can be washed off after use. There’s also a permanent version which works better on bicycle frames. Either way, it’s an undoubtedly great way to show up in the dark! 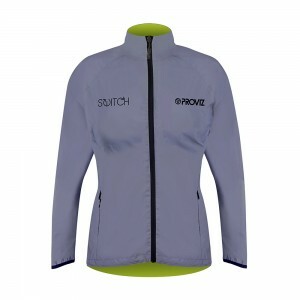 This beautiful jacket by Scottish cycling brand Endura is one of the nicest reversibles around, changing from pink to subtle black depending on how visible you want to be. 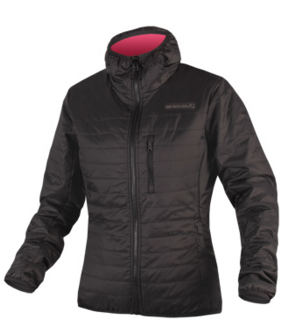 It’s warmed with PrimaLoft Silver Insulation, described as ‘the world leading insulation that has been designed for long days outdoors, maintaining its warmth properties even when wet’. This insulation material is also incredibly lightweight and malleable, meaning the FlipJak can be folded down easily into a bike pannier or backpack when it’s not being worn. 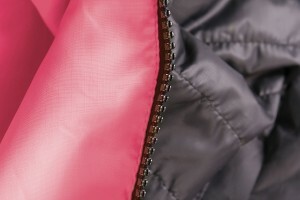 As is always extremely useful in a cycling jacket, the FlipJak has many places to keep your keys: two zipped handwarmer pockets, a zipped chest pocket and an internal chest pocket. It has also been finished with a highly reflective print and embroidered logos for maximum visibility. 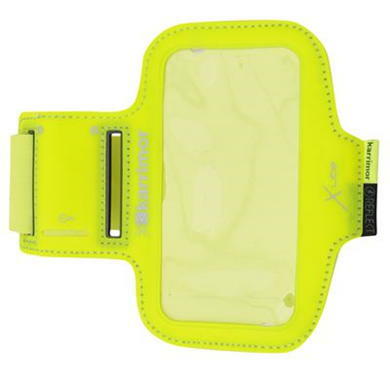 For anyone who likes to cycle with their phone close at hand, this armband from Karrimor is perfect. 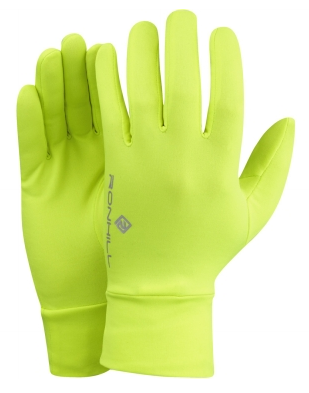 Available in black or yellow, both are highly reflective and add an extra visible item to your outfit. Not only do these affordable spokelights make a fantastic gift, they’re also very practical. 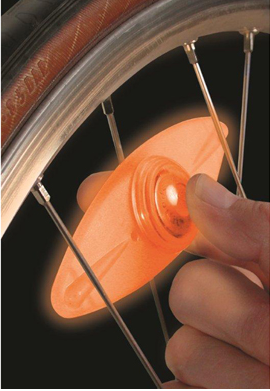 They work by being attached to the wheels of your bicycle and are adjustable simply by pressing a button; they can be flashing or emit steady light depending on your preference, and are sure to draw attention and increase visibility either way. The batteries, which are included, last up to an impressive 25 hours, and the lights come in either red or multicolour. I’ve seen a lot of bright gloves around as the temperature has dropped. 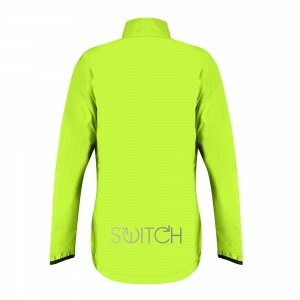 This fab fluorescent pair draws attention to cyclists especially when you’re indicating a change of direction, and they also have fast wicking to ensure you stay comfortable in the cold.